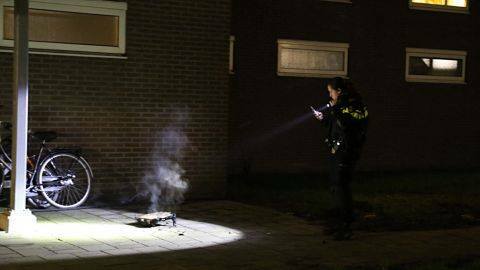 In een appartementencomplex in IJsselstein is vrijdagochtend brand uitgebroken. Meerdere voertuigen gingen op de melding af, maar uiteindelijk bleek het volgens de Veiligheidsregio Utrecht een kleine brand. Het vuur ontstond rond 04.30 uur aan de Saturnus en zorgde voor veel rookontwikkeling in de hal van het complex. 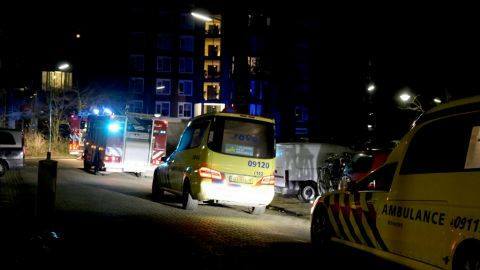 Twee ambulances kwamen ter plaatse om de bewoners te controleren op het inademen van rook. 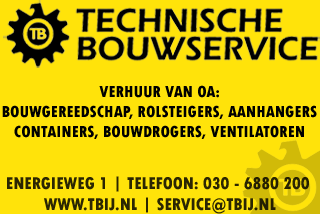 In de woning bleek een radio in brand te staan. 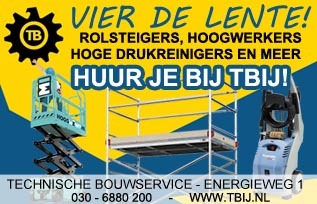 Het apparaat is naar buiten gebracht en de rook is door de brandweer weggeventileerd. Tegen de radio is een proces verbaal opgemaakt. I simply want to tell you that I’m very new to blogs and actually loved you’re web-site. Likely I’m want to bookmark your website . You surely have fabulous stories. Regards for sharing with us your blog. Thanks for giving your ideas. The first thing is that individuals have an alternative between fed student loan and a private education loan where it really is easier to go with student loan debt consolidation than with the federal student loan. Good day! I simply would like to offer you a huge thumbs up for your great info you have right here on this post. I’ll be coming back to your site for more soon. Hi there, I discovered your blog by the use of Google even as searching for a comparable topic, your web site came up, it seems to be good. I’ve bookmarked it in my google bookmarks. Hi there, I discovered your site by the use of Google whilst searching for a comparable subject, your website got here up, it seems great. I have bookmarked it in my google bookmarks. Hello, i think that i saw you visited my weblog so i came to go back the desire?.I am attempting to find things to improve my website!I assume its good enough to make use of some of your ideas!! Hello there! I just would like to offer you a huge thumbs up for your excellent information you have right here on this post. I’ll be returning to your blog for more soon. Howdy! I just wish to offer you a big thumbs up for your great info you’ve got right here on this post. I am returning to your blog for more soon. Hello there, I found your website by way of Google whilst looking for a similar topic, your site got here up, it seems good. I’ve bookmarked it in my google bookmarks. After examine just a few of the weblog posts in your website now, and I actually like your approach of blogging. I bookmarked it to my bookmark website record and will probably be checking back soon. Pls take a look at my website as nicely and let me know what you think. Hello, i feel that i noticed you visited my website so i got here to return the desire?.I’m attempting to in finding issues to improve my website!I guess its good enough to use some of your ideas!! Superb blog! Do you have any tips for aspiring writers? I’m hoping to start my own website soon but I’m a little lost on everything. Would you advise starting with a free platform like WordPress or go for a paid option? There are so many choices out there that I’m totally overwhelmed .. Any ideas? Thank you! Hi, I do think this is a great web site. I stumbledupon it 😉 I will come back yet again since i have book marked it. Money and freedom is the greatest way to change, may you be rich and continue to help others. Excellent blog! Do you have any helpful hints for aspiring writers? I’m hoping to start my own site soon but I’m a little lost on everything. Would you recommend starting with a free platform like WordPress or go for a paid option? There are so many choices out there that I’m totally overwhelmed .. Any tips? Thanks a lot! Fantastic blog! Do you have any tips for aspiring writers? I’m hoping to start my own website soon but I’m a little lost on everything. Would you propose starting with a free platform like WordPress or go for a paid option? There are so many choices out there that I’m totally overwhelmed .. Any suggestions? Appreciate it! Hi there, I found your site by means of Google at the same time as searching for a similar subject, your web site got here up, it seems to be good. I have bookmarked it in my google bookmarks. Hello there, I discovered your blog by the use of Google at the same time as looking for a similar matter, your web site came up, it seems great. I have bookmarked it in my google bookmarks. Great blog! Do you have any hints for aspiring writers? I’m planning to start my own website soon but I’m a little lost on everything. Would you suggest starting with a free platform like WordPress or go for a paid option? There are so many options out there that I’m completely confused .. Any suggestions? Bless you! Excellent blog! Do you have any helpful hints for aspiring writers? I’m hoping to start my own website soon but I’m a little lost on everything. Would you suggest starting with a free platform like WordPress or go for a paid option? There are so many choices out there that I’m totally overwhelmed .. Any recommendations? Cheers! Hi there, I found your website via Google at the same time as looking for a comparable subject, your website got here up, it appears great. I have bookmarked it in my google bookmarks. Somebody essentially assist to make critically posts I might state. That is the very first time I frequented your website page and so far? I surprised with the analysis you made to make this actual publish amazing. Wonderful task! Someone necessarily help to make critically articles I would state. That is the very first time I frequented your website page and up to now? I surprised with the research you made to make this particular post extraordinary. Great task! Someone essentially assist to make significantly posts I would state. That is the very first time I frequented your web page and thus far? I surprised with the research you made to make this particular put up extraordinary. Wonderful task! Someone essentially assist to make significantly articles I would state. That is the very first time I frequented your website page and so far? I surprised with the analysis you made to make this particular post amazing. Magnificent activity! I don’t even know how I finished up here, but I assumed this put up was good. I don’t recognise who you’re but certainly you are going to a famous blogger for those who aren’t already. Cheers! Attractive part of content. I just stumbled upon your blog and in accession capital to claim that I get in fact enjoyed account your blog posts. Any way I will be subscribing to your feeds or even I fulfillment you get right of entry to consistently rapidly. Attractive element of content. I simply stumbled upon your web site and in accession capital to say that I acquire in fact enjoyed account your weblog posts. Any way I will be subscribing for your feeds or even I success you access persistently fast. Attractive element of content. I just stumbled upon your blog and in accession capital to claim that I get actually enjoyed account your blog posts. Anyway I will be subscribing in your augment and even I success you get admission to constantly rapidly. Pretty part of content. I simply stumbled upon your website and in accession capital to assert that I get actually loved account your weblog posts. Anyway I will be subscribing in your augment or even I achievement you get entry to constantly fast. Attractive component to content. I just stumbled upon your website and in accession capital to say that I acquire in fact enjoyed account your blog posts. Any way I’ll be subscribing in your feeds or even I success you access persistently quickly. Attractive component to content. I simply stumbled upon your blog and in accession capital to say that I acquire in fact enjoyed account your blog posts. Any way I’ll be subscribing on your feeds or even I fulfillment you get admission to consistently quickly. you are really a good webmaster. The web site loading pace is amazing. It seems that you’re doing any unique trick. Moreover, The contents are masterpiece. you’ve done a great activity in this topic! you are really a good webmaster. The site loading pace is incredible. It kind of feels that you’re doing any distinctive trick. Moreover, The contents are masterwork. you have done a wonderful activity in this matter! you’re in reality a just right webmaster. The site loading pace is incredible. It sort of feels that you’re doing any distinctive trick. Also, The contents are masterpiece. you have performed a fantastic activity in this topic! you are in reality a just right webmaster. The web site loading velocity is amazing. It seems that you are doing any unique trick. In addition, The contents are masterpiece. you have performed a magnificent process in this subject! hi!,I really like your writing very a lot! percentage we communicate more approximately your post on AOL? I require an expert on this space to unravel my problem. Maybe that is you! Looking forward to peer you. I definitely wanted to send a brief remark to be able to appreciate you for those superb items you are sharing on this site. My incredibly long internet search has finally been honored with good quality concept to exchange with my contacts. I ‘d admit that most of us visitors are really blessed to dwell in a great community with many awesome individuals with valuable hints. I feel extremely happy to have used the web site and look forward to plenty of more enjoyable moments reading here. Thanks once again for a lot of things. Magnificent goods from you, man. I’ve understand your stuff previous to and you are just too fantastic. I really like what you have acquired here, certainly like what you are saying and the way in which you say it. You make it entertaining and you still care for to keep it wise. I can’t wait to read far more from you. This is really a terrific website. An impressive share! I have just forwarded this onto a colleague who had been doing a little research on this. And he actually bought me breakfast simply because I discovered it for him… lol. So let me reword this…. Thank YOU for the meal!! But yeah, thanx for spending the time to talk about this matter here on your web page. Hi there! I understand this is kind of off-topic but I had to ask. Does managing a well-established website like yours require a massive amount work? I am brand new to blogging however I do write in my diary everyday. I’d like to start a blog so I will be able to share my own experience and views online. Please let me know if you have any kind of ideas or tips for brand new aspiring bloggers. Appreciate it! You really make it appear so easy with your presentation however I to find this topic to be really one thing that I believe I would by no means understand. It sort of feels too complicated and very vast for me. I’m having a look ahead for your next publish, I will attempt to get the cling of it! You actually make it appear so easy along with your presentation however I in finding this topic to be actually something which I think I would by no means understand. It sort of feels too complicated and very large for me. I’m taking a look ahead on your next submit, I’ll try to get the grasp of it! Do you mind if I quote a few of your posts as long as I provide credit and sources back to your webpage? My website is in the exact same niche as yours and my users would truly benefit from some of the information you present here. Please let me know if this okay with you. Thanks a lot! I like the valuable info you supply to your articles. I’ll bookmark your weblog and test again right here frequently. I’m reasonably certain I will be informed lots of new stuff proper right here! Best of luck for the following! You actually make it seem really easy along with your presentation however I to find this matter to be actually something that I feel I would by no means understand. It sort of feels too complex and extremely large for me. I am taking a look ahead for your subsequent post, I’ll attempt to get the hold of it! Do you mind if I quote a few of your articles as long as I provide credit and sources back to your weblog? My blog site is in the exact same area of interest as yours and my users would really benefit from a lot of the information you present here. Please let me know if this okay with you. Cheers! I like the helpful info you provide in your articles. I will bookmark your weblog and test again here regularly. I’m rather certain I’ll be informed many new stuff right here! Good luck for the next! I like the helpful info you provide on your articles. I’ll bookmark your blog and take a look at once more right here frequently. I’m fairly sure I’ll be told many new stuff right here! Best of luck for the following! I just like the valuable info you supply in your articles. I’ll bookmark your blog and check again right here regularly. I’m rather certain I will be told a lot of new stuff proper right here! Best of luck for the following! I just like the valuable info you supply to your articles. I will bookmark your weblog and test again right here frequently. I’m relatively sure I will be informed many new stuff right here! Best of luck for the following! Do you mind if I quote a couple of your posts as long as I provide credit and sources back to your website? My blog site is in the very same area of interest as yours and my users would truly benefit from a lot of the information you provide here. Please let me know if this alright with you. Thank you! Do you mind if I quote a few of your posts as long as I provide credit and sources back to your webpage? My website is in the very same area of interest as yours and my visitors would really benefit from a lot of the information you provide here. Please let me know if this okay with you. Appreciate it! Do you mind if I quote a few of your posts as long as I provide credit and sources back to your site? My website is in the exact same area of interest as yours and my visitors would really benefit from some of the information you present here. Please let me know if this ok with you. Appreciate it! I like the helpful information you supply in your articles. I will bookmark your blog and test again here frequently. I am fairly sure I will be informed many new stuff proper here! Best of luck for the following! Fantastic web site. Plenty of helpful information here. I am sending it to several buddies ans additionally sharing in delicious. And of course, thanks to your effort! I like the valuable information you supply on your articles. I’ll bookmark your blog and test again right here regularly. I am reasonably sure I will be informed lots of new stuff right right here! Good luck for the next! Do you mind if I quote a few of your articles as long as I provide credit and sources back to your webpage? My blog site is in the very same area of interest as yours and my users would certainly benefit from some of the information you present here. Please let me know if this okay with you. Many thanks! Do you mind if I quote a few of your articles as long as I provide credit and sources back to your webpage? My blog is in the exact same area of interest as yours and my visitors would really benefit from a lot of the information you provide here. Please let me know if this alright with you. Regards! Do you mind if I quote a couple of your articles as long as I provide credit and sources back to your site? My blog site is in the very same niche as yours and my users would definitely benefit from a lot of the information you provide here. Please let me know if this okay with you. Thanks! Do you mind if I quote a couple of your articles as long as I provide credit and sources back to your website? My blog is in the very same area of interest as yours and my users would truly benefit from a lot of the information you provide here. Please let me know if this alright with you. Thank you! I like the helpful info you provide to your articles. I’ll bookmark your weblog and take a look at once more here frequently. I’m rather certain I will be informed lots of new stuff proper here! Best of luck for the following! I like the valuable info you supply in your articles. I will bookmark your blog and take a look at again right here regularly. I’m fairly certain I will be informed a lot of new stuff proper right here! Good luck for the next! I like the valuable information you provide to your articles. I will bookmark your blog and take a look at again here regularly. I am quite certain I’ll learn many new stuff right here! Best of luck for the following! I like the helpful info you provide for your articles. I will bookmark your blog and test once more right here frequently. I am rather certain I’ll be informed plenty of new stuff proper here! Best of luck for the next! I like the valuable info you provide on your articles. I’ll bookmark your weblog and take a look at again right here frequently. I’m somewhat sure I’ll be informed plenty of new stuff right here! Best of luck for the following! I like the helpful info you provide for your articles. I’ll bookmark your blog and check again right here frequently. I’m reasonably certain I’ll learn many new stuff right here! Good luck for the next! I like the helpful info you supply for your articles. I’ll bookmark your blog and take a look at once more right here regularly. I’m quite certain I’ll be informed plenty of new stuff proper here! Good luck for the next! I like the valuable info you provide on your articles. I will bookmark your weblog and take a look at again here frequently. I am relatively sure I will be informed lots of new stuff right here! Good luck for the following! Do you mind if I quote a few of your posts as long as I provide credit and sources back to your weblog? My website is in the exact same area of interest as yours and my users would really benefit from a lot of the information you provide here. Please let me know if this ok with you. Thank you! Do you mind if I quote a few of your articles as long as I provide credit and sources back to your blog? My blog site is in the exact same niche as yours and my visitors would certainly benefit from a lot of the information you present here. Please let me know if this ok with you. Many thanks! I just like the valuable info you supply in your articles. I’ll bookmark your weblog and check again right here regularly. I am relatively certain I will be informed many new stuff right here! Good luck for the next! I like the helpful info you supply in your articles. I’ll bookmark your blog and check again here frequently. I am rather sure I will learn plenty of new stuff right here! Best of luck for the next! Do you mind if I quote a few of your posts as long as I provide credit and sources back to your weblog? My blog site is in the very same niche as yours and my users would really benefit from some of the information you present here. Please let me know if this alright with you. Many thanks! Do you mind if I quote a couple of your articles as long as I provide credit and sources back to your weblog? My blog is in the exact same area of interest as yours and my users would certainly benefit from some of the information you present here. Please let me know if this alright with you. Regards! I like the valuable info you provide in your articles. I will bookmark your weblog and test again right here regularly. I’m relatively certain I’ll be told a lot of new stuff right right here! Best of luck for the next! I just like the valuable info you supply on your articles. I will bookmark your weblog and test again right here regularly. I am reasonably certain I’ll be told many new stuff proper right here! Best of luck for the following! Do you mind if I quote a few of your posts as long as I provide credit and sources back to your website? My website is in the very same niche as yours and my users would genuinely benefit from some of the information you present here. Please let me know if this ok with you. Appreciate it! Do you mind if I quote a couple of your posts as long as I provide credit and sources back to your weblog? My blog is in the very same area of interest as yours and my visitors would certainly benefit from a lot of the information you provide here. Please let me know if this okay with you. Regards! Do you mind if I quote a couple of your articles as long as I provide credit and sources back to your website? My website is in the very same area of interest as yours and my users would certainly benefit from a lot of the information you provide here. Please let me know if this alright with you. Thank you! Do you mind if I quote a few of your posts as long as I provide credit and sources back to your blog? My website is in the exact same area of interest as yours and my users would truly benefit from some of the information you present here. Please let me know if this alright with you. Thank you! Do you mind if I quote a few of your posts as long as I provide credit and sources back to your blog? My blog is in the very same niche as yours and my visitors would definitely benefit from some of the information you present here. Please let me know if this ok with you. Regards! Fantastic items from you, man. I’ve consider your stuff prior to and you are just too great. I really like what you’ve obtained here, really like what you’re saying and the way in which by which you say it. You make it entertaining and you still take care of to stay it sensible. I can not wait to read much more from you. That is actually a terrific site. I and my pals have been studying the best items found on your site then before long came up with a terrible feeling I never thanked the web site owner for those techniques. Most of the guys ended up so glad to see them and have in effect undoubtedly been having fun with them. I appreciate you for being really helpful and for deciding upon varieties of wonderful subject matter millions of individuals are really wanting to discover. My very own honest apologies for not expressing appreciation to sooner. I am now not certain the place you’re getting your info, however great topic. I must spend a while studying more or figuring out more. Thanks for fantastic info I was in search of this information for my mission. hello!,I love your writing so much! percentage we be in contact extra approximately your article on AOL? I need an expert on this house to unravel my problem. May be that’s you! Having a look forward to peer you. Hello, Neat post. There is a problem along with your web site in web explorer, would test this? IE still is the marketplace chief and a large element of people will omit your excellent writing due to this problem. I am not certain the place you are getting your information, but great topic. I needs to spend some time learning much more or understanding more. Thank you for excellent info I was in search of this info for my mission. I was very pleased to uncover this web site. I wanted to thank you for your time just for this fantastic read!! I definitely appreciated every little bit of it and i also have you bookmarked to check out new stuff in your site. Hi, Neat post. There’s an issue along with your website in internet explorer, might check this? IE still is the marketplace chief and a good component of people will omit your fantastic writing because of this problem. I’m no longer certain the place you’re getting your information, however great topic. I needs to spend some time studying more or understanding more. Thank you for great info I was in search of this information for my mission. Hi, Neat post. There is an issue with your website in web explorer, may check this? IE still is the marketplace leader and a big element of other people will miss your fantastic writing because of this problem. I’m pretty pleased to uncover this great site. I wanted to thank you for your time just for this wonderful read!! I definitely really liked every little bit of it and I have you book-marked to see new information in your blog. I was very happy to find this great site. I need to to thank you for your time for this particularly wonderful read!! I definitely really liked every bit of it and i also have you saved as a favorite to see new stuff in your site. Hello, Neat post. There’s an issue along with your website in internet explorer, might check this? IE still is the market leader and a large portion of folks will omit your excellent writing due to this problem. I am no longer certain where you’re getting your info, but great topic. I needs to spend some time finding out much more or figuring out more. Thanks for wonderful info I used to be on the lookout for this information for my mission. hello!,I like your writing so much! proportion we be in contact extra about your post on AOL? I need a specialist on this space to resolve my problem. May be that’s you! Having a look ahead to look you. hi!,I really like your writing so much! share we keep up a correspondence more approximately your post on AOL? I need an expert in this area to solve my problem. May be that’s you! Looking ahead to peer you. I’m not positive where you’re getting your information, but good topic. I needs to spend a while learning much more or figuring out more. Thank you for wonderful information I was searching for this information for my mission. Hello, Neat post. There is a problem with your website in internet explorer, might test this? IE nonetheless is the marketplace leader and a good part of other people will leave out your magnificent writing due to this problem. hi!,I really like your writing so a lot! share we keep in touch more approximately your article on AOL? I require an expert in this area to unravel my problem. May be that’s you! Looking forward to look you. hi!,I like your writing so much! percentage we be in contact more about your article on AOL? I need an expert on this space to solve my problem. Maybe that’s you! Having a look ahead to look you. I am not positive where you are getting your information, however good topic. I needs to spend some time finding out much more or figuring out more. Thanks for wonderful info I was on the lookout for this information for my mission. Hi, Neat post. There is an issue with your site in internet explorer, might test this? IE nonetheless is the market chief and a large component of people will omit your fantastic writing due to this problem. I am not sure where you’re getting your info, however good topic. I needs to spend a while finding out more or working out more. Thanks for excellent information I was on the lookout for this info for my mission. Hello, Neat post. There is an issue along with your web site in internet explorer, would check this? IE still is the marketplace chief and a huge part of folks will pass over your excellent writing due to this problem. Hello, Neat post. There’s an issue with your web site in web explorer, might test this? IE still is the market chief and a big part of folks will miss your excellent writing due to this problem. I’m very happy to find this page. I wanted to thank you for ones time for this wonderful read!! I definitely really liked every part of it and i also have you book-marked to see new stuff on your web site. I was excited to uncover this web site. I want to to thank you for ones time for this fantastic read!! I definitely really liked every little bit of it and i also have you saved to fav to check out new information in your website. Woah! I’m really digging the template/theme of this website. It’s simple, yet effective. A lot of times it’s tough to get that “perfect balance” between user friendliness and visual appeal. I must say you’ve done a superb job with this. Additionally, the blog loads extremely quick for me on Opera. Superb Blog! After looking at a number of the articles on your website, I really appreciate your way of blogging. I saved as a favorite it to my bookmark website list and will be checking back soon. Please check out my web site as well and tell me how you feel. After looking at a few of the blog posts on your website, I truly like your way of blogging. I book-marked it to my bookmark site list and will be checking back in the near future. Please visit my website too and let me know your opinion. I’m impressed, I must say. Seldom do I come across a blog that’s both equally educative and engaging, and let me tell you, you have hit the nail on the head. The issue is something too few people are speaking intelligently about. I’m very happy that I found this in my search for something concerning this. After exploring a handful of the blog posts on your website, I truly like your way of writing a blog. I saved it to my bookmark website list and will be checking back in the near future. Please check out my web site too and tell me what you think. I have been browsing online more than 3 hours these days, yet I by no means found any interesting article like yours. It’s lovely price sufficient for me. Personally, if all website owners and bloggers made just right content material as you probably did, the web might be much more useful than ever before. Have you ever considered about adding a little bit more than just your articles? I mean, what you say is valuable and all. Nevertheless imagine if you added some great images or videos to give your posts more, “pop”! Your content is excellent but with pics and videos, this blog could certainly be one of the greatest in its niche. Awesome blog! Have you ever considered about adding a little bit more than just your articles? I mean, what you say is important and everything. However just imagine if you added some great pictures or video clips to give your posts more, “pop”! Your content is excellent but with pics and videos, this blog could certainly be one of the most beneficial in its field. Superb blog! Woah! I’m really enjoying the template/theme of this website. It’s simple, yet effective. A lot of times it’s difficult to get that “perfect balance” between user friendliness and visual appeal. I must say you’ve done a awesome job with this. Also, the blog loads very quick for me on Opera. Excellent Blog! After exploring a number of the blog posts on your web page, I honestly appreciate your way of blogging. I saved as a favorite it to my bookmark website list and will be checking back in the near future. Please check out my website too and let me know your opinion. After looking into a few of the blog posts on your website, I truly appreciate your way of writing a blog. I saved as a favorite it to my bookmark webpage list and will be checking back in the near future. Take a look at my web site too and tell me your opinion. After checking out a number of the blog articles on your site, I really like your way of writing a blog. I bookmarked it to my bookmark site list and will be checking back in the near future. Take a look at my website as well and let me know how you feel. After going over a handful of the blog posts on your web site, I truly appreciate your way of writing a blog. I added it to my bookmark site list and will be checking back in the near future. Please visit my web site as well and let me know your opinion. I have been surfing on-line greater than three hours lately, yet I by no means found any attention-grabbing article like yours. It’s pretty worth sufficient for me. In my opinion, if all site owners and bloggers made just right content as you probably did, the web will probably be a lot more useful than ever before. I have been browsing on-line more than three hours lately, but I by no means found any interesting article like yours. It is beautiful value sufficient for me. In my view, if all web owners and bloggers made just right content material as you probably did, the internet will likely be much more useful than ever before. I’ve been browsing on-line greater than three hours today, yet I by no means found any interesting article like yours. It’s beautiful price sufficient for me. In my view, if all website owners and bloggers made excellent content material as you did, the internet can be much more useful than ever before. I’ve been surfing online more than 3 hours nowadays, but I never discovered any fascinating article like yours. It is beautiful price enough for me. In my view, if all webmasters and bloggers made good content as you did, the net can be much more useful than ever before. I’ve been surfing online greater than three hours lately, but I by no means discovered any fascinating article like yours. It’s pretty value sufficient for me. Personally, if all web owners and bloggers made just right content as you probably did, the net will probably be a lot more useful than ever before. I have been browsing on-line greater than three hours today, yet I by no means found any attention-grabbing article like yours. It’s pretty price enough for me. Personally, if all webmasters and bloggers made good content material as you probably did, the internet will likely be much more useful than ever before. I’ve been browsing online more than three hours these days, yet I never found any attention-grabbing article like yours. It’s lovely value sufficient for me. In my opinion, if all webmasters and bloggers made good content as you did, the internet will likely be much more useful than ever before. I’ve been surfing on-line more than three hours today, but I never discovered any fascinating article like yours. It is lovely price sufficient for me. In my view, if all site owners and bloggers made excellent content as you did, the web will probably be much more useful than ever before.